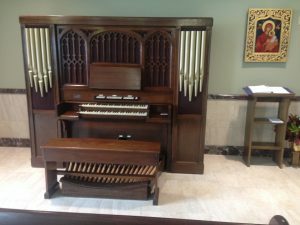 This Möller Artiste Opus 7687 from 1948 has now found itself a new home in the St. Xavier Chapel at the Blanchette Center, Diocese of Joliet. 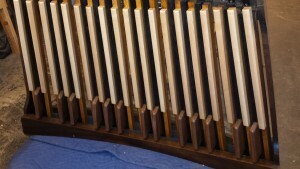 The elegant chapel with warm acoustics is a superb aural environment for this lovely instrument. 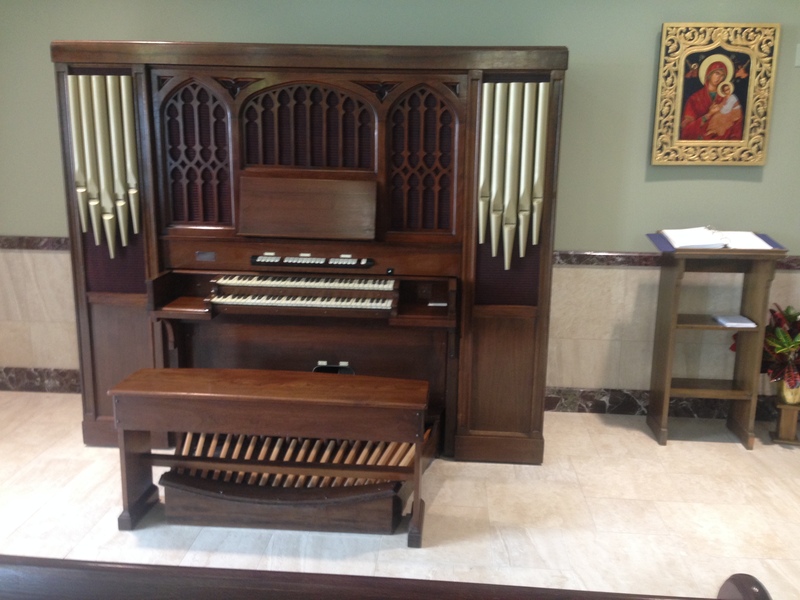 The organ and room serve the staff of the Diocesan offices for Divine Worship. This is a rare instrument in that the silver nameplate is incomplete and has no opus number listed! This sturdy and versatile instrument is now in its fifth home and is ready for another fifty years of service after a complete refurbishment in our shop. Rebushed pedalboard with new key tops.